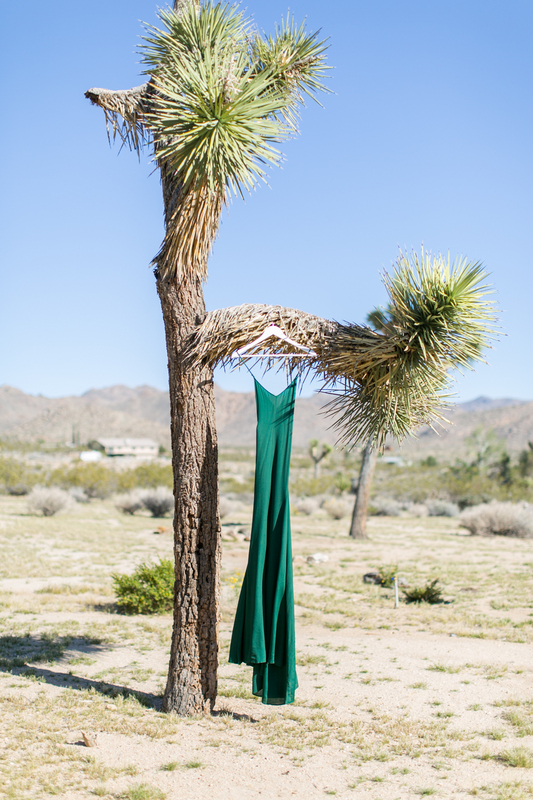 Cole & Marie's Joshua Tree Elopement was nothing short of romantic. It was a celebration of deep love and you could tell by sheer joy on their faces throughout the day. The bride and groom met while they were both working at the Contemporary Art Museum in St. Louis. They lived in New York for a few years while Marie was going to grad school, and now Cole works at a gallery in Brooklyn, while Marie works at a non-profit space in St. Louis. Their love truly has what it takes to persevere long distance! 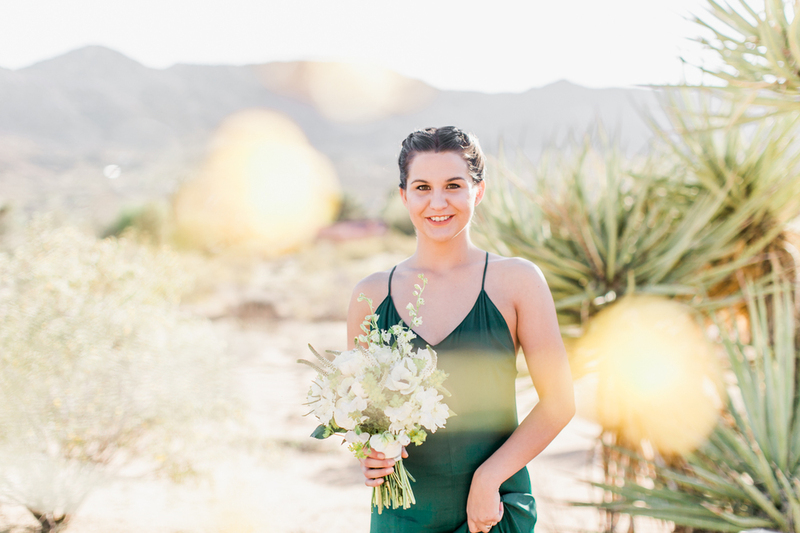 Cole & Marie's intimate wedding was held at an adorable Mid-Century home close to Joshua Tree National Park that they found through AirBnb. The home was decorated perfectly to reflect Cole & Marie's fun, tasteful aesthetic and love of good music. 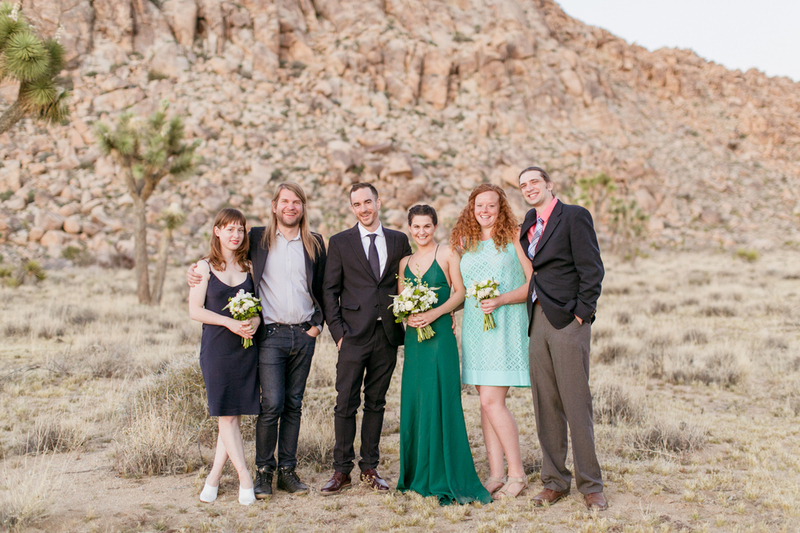 The two eloped in Joshua Tree with only four of their close friends, and the officiant present and followed up the day by sending out elopement announcements to family and friends back home. 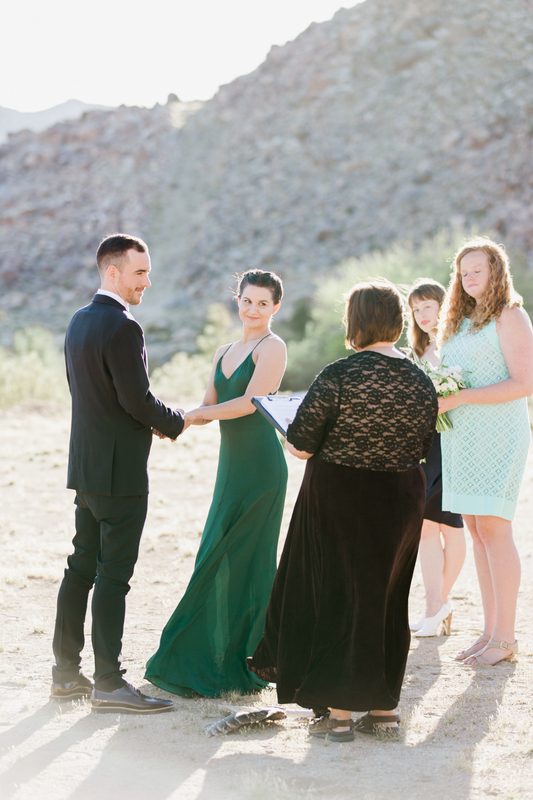 The Rolling Stones' "Gimme Shelter" played from the vintage record player in the house while the two exchanged vows in the desert. 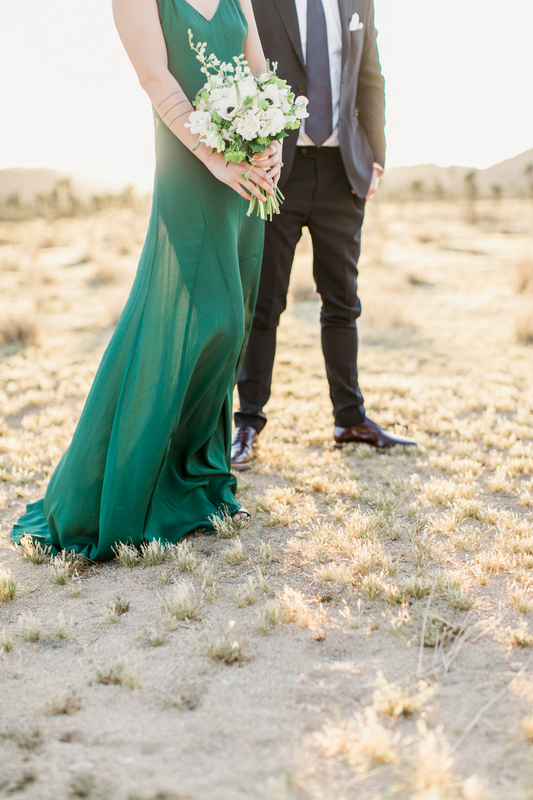 Afterwards, we headed into Joshua Tree National Park to take some elopement photos and to catch the most gorgeous golden sunset. 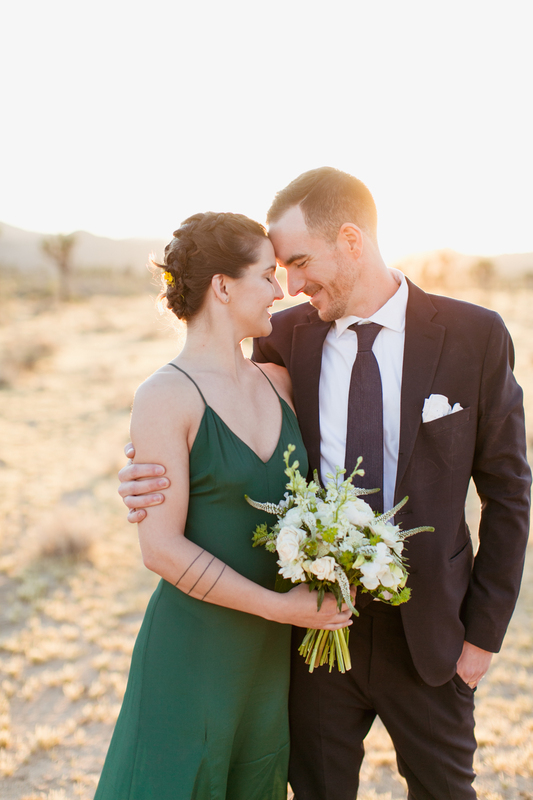 Cole and Marie's Joshua Tree Elopement was truly romantic, in every sense of the word. 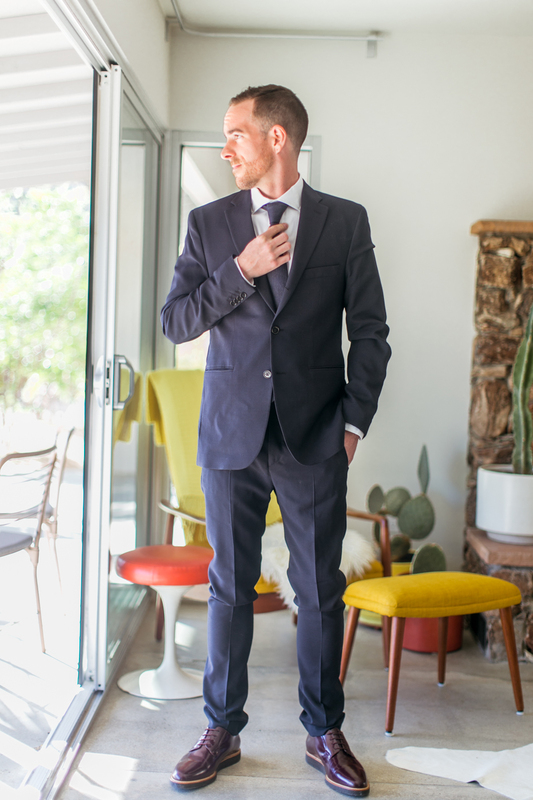 One of my favorite things about being an elopement photographer is being able to take part in such an intimate occasion. 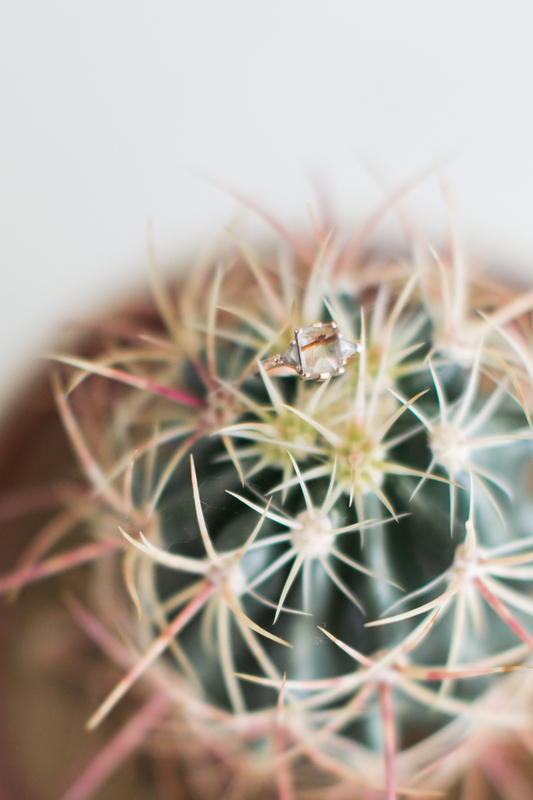 With only four of their closest friends present, it was truly an honor to capture this couple's intimate wedding. 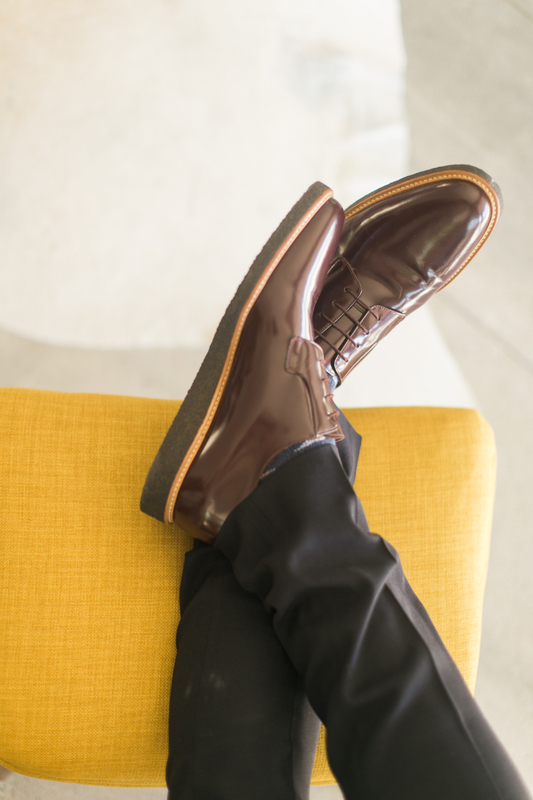 This wedding was featured on 100 Layer Cake!